HIckam Elementary is committed to helping ALL children succeed. As part of the Comprehensive Student Support System (CSSS) and one of our Superintendent’s six priority strategies for the Hawaii Department of Education, Response to Intervention (RTI) is a framework of support that can help students achieve learning goals and perform at their highest potential. RTI is a multi-step process of providing high-quality instruction and interventions that match students’ needs. The RTI process is made up of four key components: Universal Benchmarking, Progress Monitoring, Data driven Decision Making, and Research Based Intervention. Starting in the fourth week in September, Hickam Elementary will begin a school-wide common intervention schedule. Each grade level has roughly four 30-minute blocks during the week in which interventions will be delivered to all students. Students in grades K-3 will be working on literacy goals and students in grades 4-6 will be working on comprehension goals. All teachers have worked in Professional Learning Communities, also called Learning Team Times (LTT), during the first quarter using various sources of data to set specific goals for students to work towards during the common intervention time. Teachers have also selected research-based interventions (teaching strategies or methods that have been proven effective for helping children learn) to support students in areas of identified need. Students will either receive intense intervention strategies or enrichment lessons during this common intervention time. 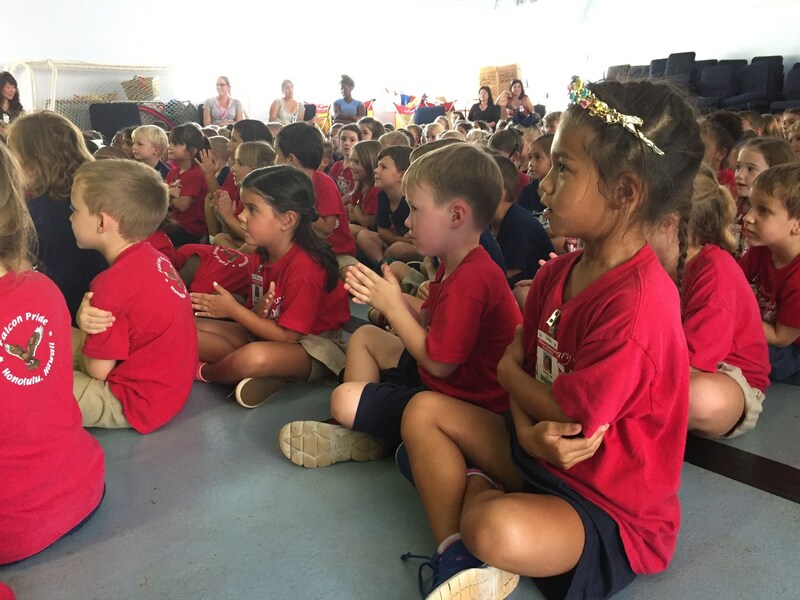 At Hickam Elementary, we believe in the core values shared by the Hawaii Department of Education; a shared belief that all students need support, resources, and diverse teaching methods in order to reach their fullest academic potential. We have developed a school-wide RTI system at Hickam Elementary to put our values into practice and ensure that all students are given the support, resources, and instruction they need to be successful. All students matter at HES!